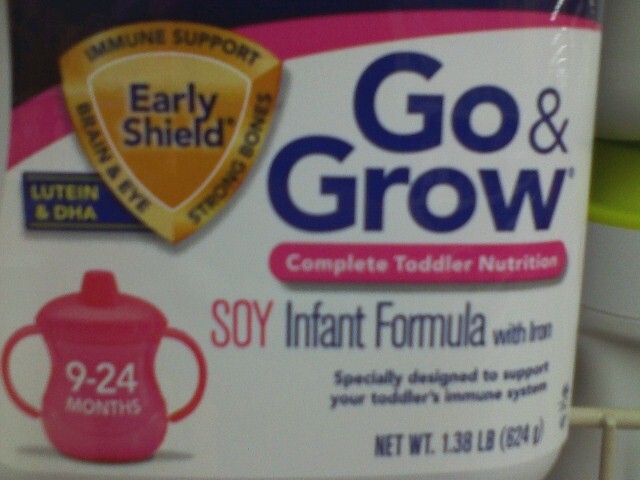 Zen Parenting: What's Really In Formula? (Corn Syrup Solids, Modified Rice Starch, Milk Protein Isolate, High Oleic Safflower Oil, Sugar, Soy Oil, Coconut Oil, Galactooligosaccharides. 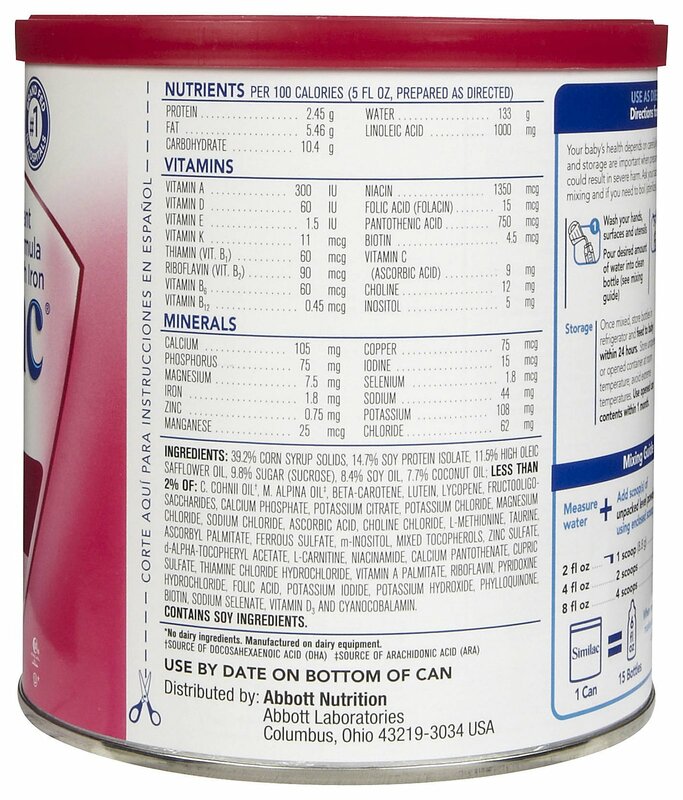 Less than 2% of the Following: C. Cohnii Oil, M. Alpina Oil, Beta-Carotene, Lutein, Lycopene, Calcium Phosphate, Potassium Citrate, Potassium Chloride, Potassium Phosphate, Calcium Carbonate, Magnesium Chloride, Ascorbic Acid, L-Cystine Dihydrochloride, Choline Chloride, Ascorbyl Palmitate, Salt, Ferrous Sulfate, Choline Bitartrate, Taurine, m-Inositol, dl-Alpha-Tocopheryl Acetate, Mixed Tocopherols, Zinc Sulfate, L-Carnitine, Niacinamide, Calcium Pantothenate, Vitamin A Palmitate, Cupric Sulfate, Thiamine Chloride Hydrochloride, Riboflavin, Pyridoxine Hydrochloride, Folic Acid, Potassium Iodide, Phylloquinone, Biotin, Sodium Selenate, Vitamin D3, Cyanocobalamin, Potassium Hydroxide, and Nucleotides (Adenosine 5’-Monophosphate, Cytidine 5’-Monophosphate, Disodium Guanosine 5’-Monophosphate, Disodium Uridine 5’-Monophosphate). 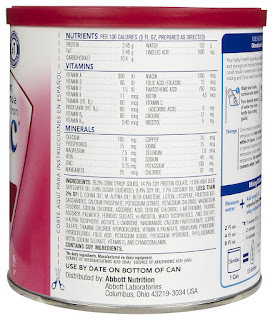 *Note: On the Abbott website they list the second ingredient as "rice starch," but on the can itself it is listed as "modified rice starch." 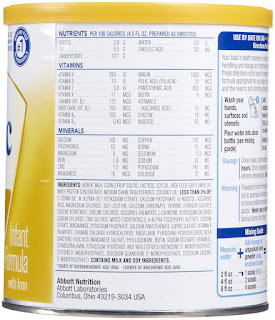 (Corn Syrup (38%), Soy Protein Isolate (16%), High Oleic Safflower Oil (11%), Sugar (10%), Soy Oil (8%), Coconut Oil (7%), Calcium Phosphate (3%). Less than 2% of the Following: C. Cohnii Oil, M. Alpina Oil, Beta-Carotene, Lutein, Lycopene, Fructooligosaccharides, Potassium Citrate, Salt, Magnesium Chloride, Ascorbic Acid, L-Methionine, Potassium Chloride, Choline Chloride, Taurine, Ferrous Sulfate, Ascorbyl Palmitate, m-Inositol, Mixed Tocopherols, Zinc Sulfate, d-Alpha-Tocopheryl Acetate, L-Carnitine, Niacinamide, Calcium Carbonate, Calcium Pantothenate, Cupric Sulfate, Thiamine Chloride Hydrochloride, Vitamin A Palmitate, Riboflavin, Pyridoxine Hydrochloride, Folic Acid, Potassium Iodide, Phylloquinone, Biotin, Vitamin D3, Cyanocobalamin, Sodium Selenate, and Potassium Hydroxide. *Note: This is the formula pictured in the original meme. It is real, it is frightening, it is business - big business. I'll be very honest. I'm tired. It's late, this is tedious, and I'm immaturely feeling preemptively defensive due to the reactions I'm assuming I'll get as a result of this blog. I have several other photos from Gerber and Enfamil. They're all the same. Take a look for yourself. Actually go look, though, don't just rely on what anyone (not even me) says or the formula's website, since you've seen that not everything matches 100%. In the thread on the original meme, a great many took the time to break down every ingredient as proof that they're not all horrific. No need, folks. They're not all horrific. Some think none of them are, which is debatable, but let's say that is true just for the sake of argument. 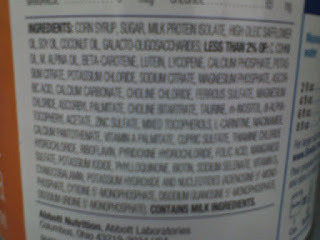 Let's say that in and of themselves, not a single one of these ingredients has anything wrong with it. 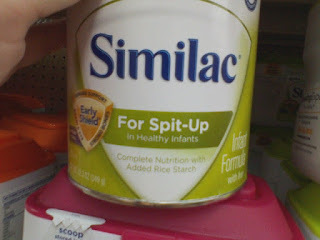 Does that mean that combined and in such massive doses as the main source of nutrition for our newborns and infants (and sometimes toddlers), they're healthy, complete, and safe? Really? I don't believe anyone honestly believes that. 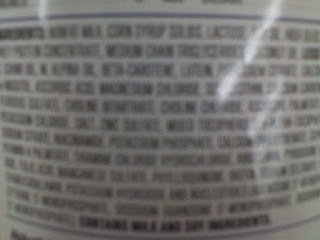 I don't believe anyone would give corn syrup, safflower oil, or soy (to name but a few of the common main ingredients) in a bottle and hand it over to their babes. I also don't believe that a great many people are aware of the ingredients and their impact. I believe that formula companies have excellent marketing departments and trusted people in positions of authority in their pockets. 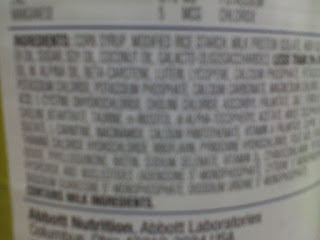 I believe that if you choose to use formula, at least do it with eyes wide open. Please know that there are other options. 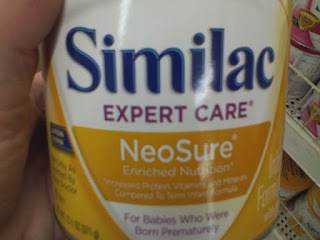 There's the supplemental nursing system (SNS), pumping, wet nursing, donor milk, and homemade formula, all of which are far safer options than formula. 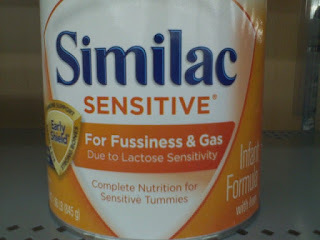 That being said, there will be those who choose or need to use formula and I understand that. We all make choices and know that there are risks and benefits to all of them. I seek only to help everyone understand those risks and benefits. I provide this information. What everyone does with it from there is completely up to them. People assume a lot. It's scary to question those assumptions. Oh, I believe it! 20 years ago, we gave Kristen a bottle of soy formula to see if she would keep it down. She had horrible projectile vomiting. I use the term "we" loosely. Rich took her in the other room, tried to get her to take it. He was able to get a bit in her, which she promptly threw up. 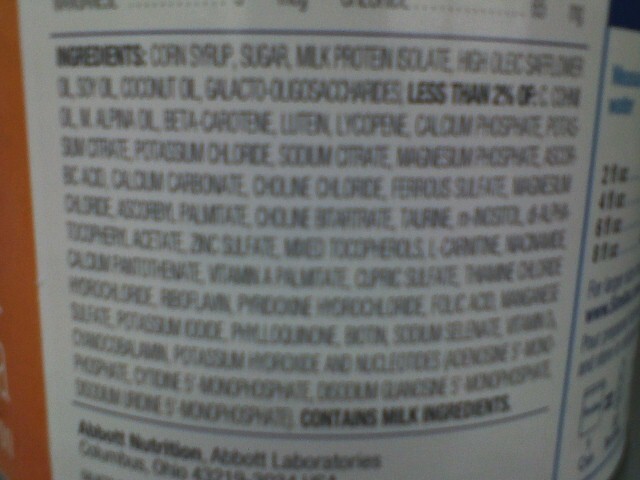 Main ingredient? 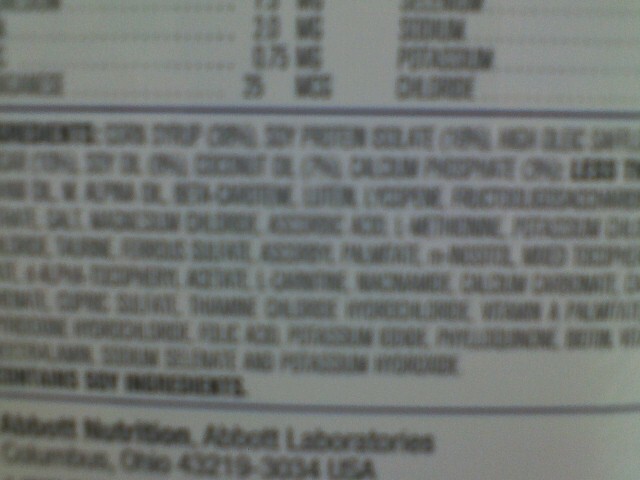 Corn syrup solids! As in, 40%. 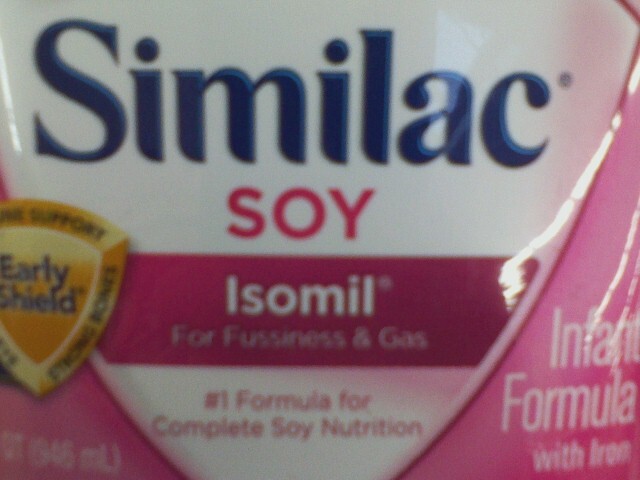 should have labeled it Corn formula, not Soy. turns out, she was allergic to corn. Eliminated corn from my diet, problem solved. Poor thing! At least you figured it out. I think that often when people fight so dramatically against information it's because they don't *want* to believe it. People (in general, not specifically of course) have what they "want to be" in their heads and when someone else pokes in with "what is", it can cause a dramatic backlash of anger and defensiveness. Unfortunately for you, writing a blog that pokes at the truth is going to get these reactions, but hopefully you realize (even as tiring as it must get) that the issue is not with you. Like you said, if they disagree they should look for themselves, and feel free to make an informed decision on what they are willing to do. 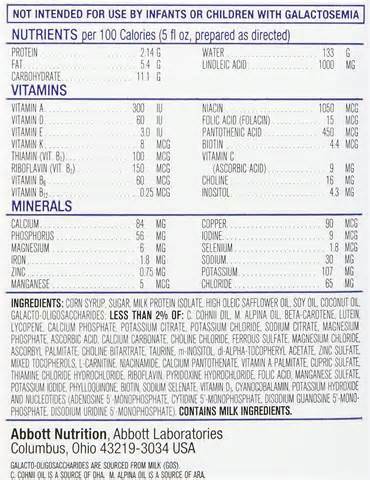 Honestly, anyone who believes a product with corn syrup listed first is in any way healthy is in a well of denial so deep they can't see the sun. Facing the truth is SCARY. 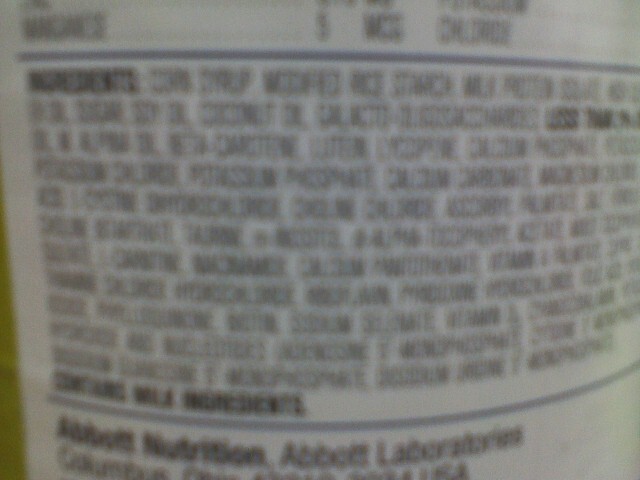 Safety aside, formula IS NOT breastmilk. It just isn't. Period. We don't even fully understand what breastmilk is except the ONLY normal food for infants. 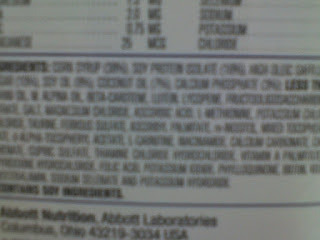 It devistated me when I had to supplement with formula, the times I could not find donor milk. I would get so angry at mom's who "choose" not to breastfeed, give your milk to me, I want it! How dare you throw away something so scarce, precious and divine? If formula had never been invented, we wouldn't let babies starve to death, we'd figure out how to milk share. After all, as far as I know, nothing has been invented yet to replace blood donations. What's the difference? I can only imagine how frustrating that must've been to not be able to find donor milk when you needed it. 3 Studies REVEAL Why Coconut Oil Kills Fat. This means that you literally get rid of fat by consuming coconut fats (including coconut milk, coconut cream and coconut oil).